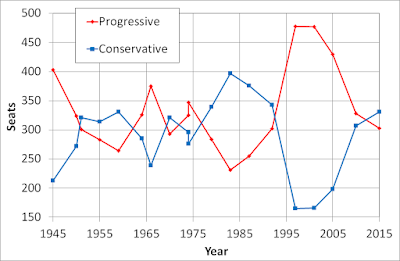 UK general elections - progressive alliance? Another UK general election is coming. Again in the media a so-called progressive alliance is being talked about (e.g. Guardian). 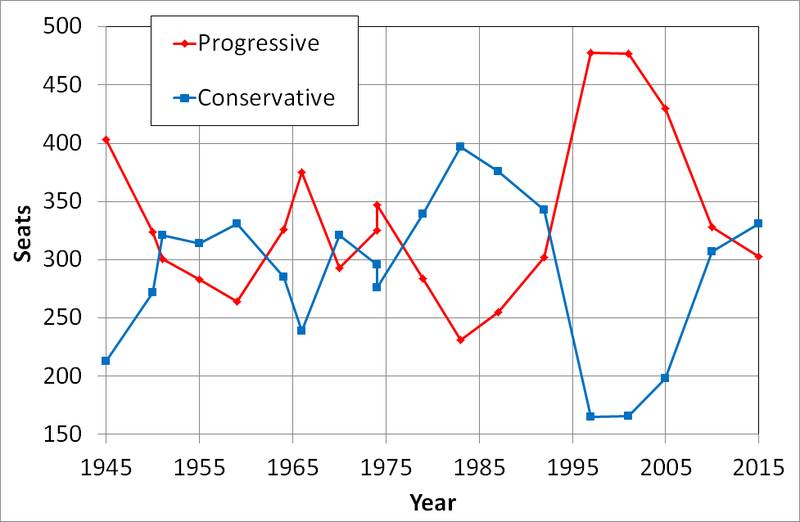 The background is that in the UK in general the conservative-right has normally held together in one party, whilst the liberal-left has been fragmented. And in a winner-takes-all voting system, the liberal-left has been badly hit over the years - but I want to know HOW badly. Normally in the past it has simply been a case of Labour + Liberal (Democrats). Although these days one could probably add in other parties to the mix, like Green and maybe say SNP, Plaid Cyrmu, etc. 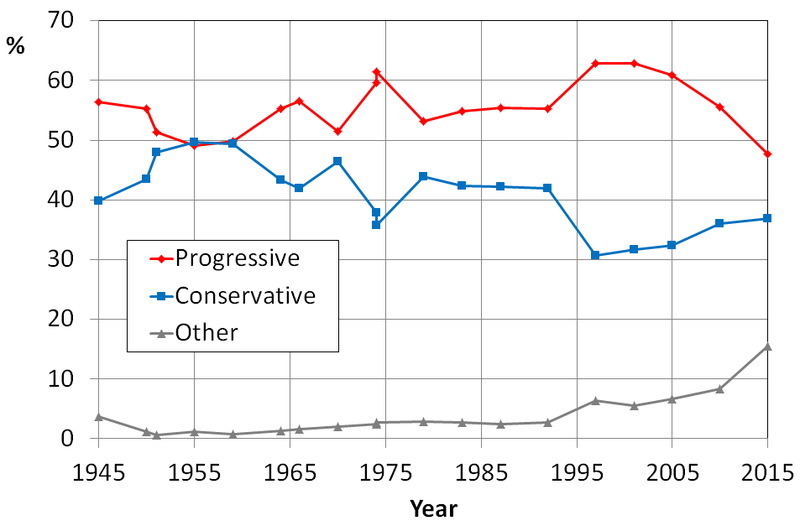 So, in 18/19 general elections, progressive parties received the largest vote share -- although there was a Conservative government in 9/19 cases and a Conservative-led government in 1 case. So this confirms in numbers that the voting system favours the Conservatives. 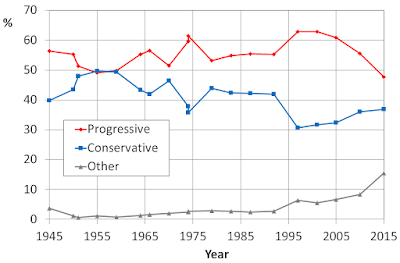 It is rare for the progressive parties to even go below 50% - e.g. it happened in 2015 presumably because (a) the LibDems were punished for going into a coalition with the Conservatives and (b) UKIP's vote-share rose lots (and it seems that UKIP has a mix of right-left-conservative voters).